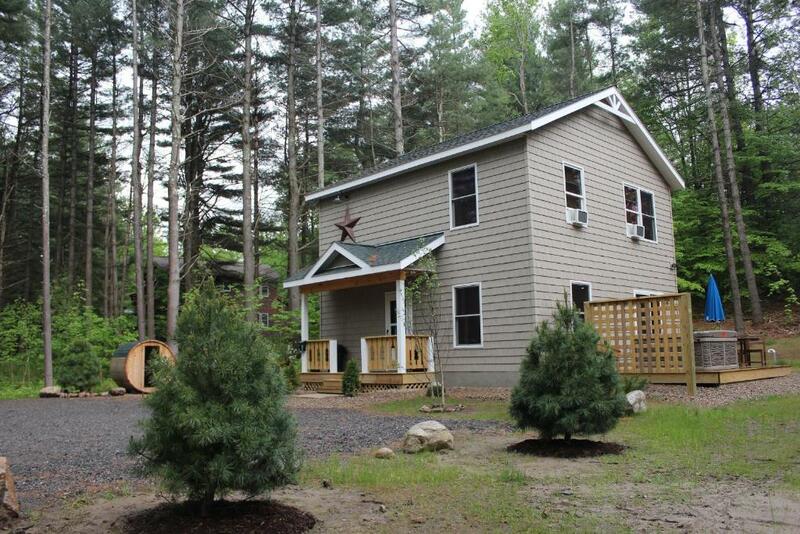 Cascade Mountain Chalet is located in Wilmington and offers a tennis court and barbecue facilities. 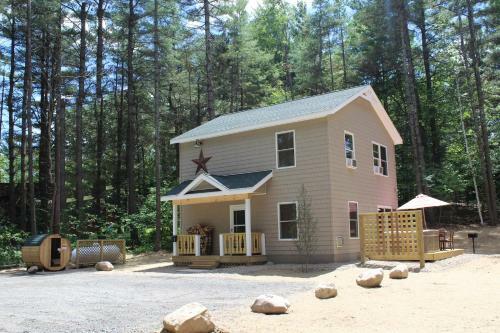 Housed in a building dating from 2015, this vacation home is 11 miles from the Whiteface Mountain and provides free WiFi. 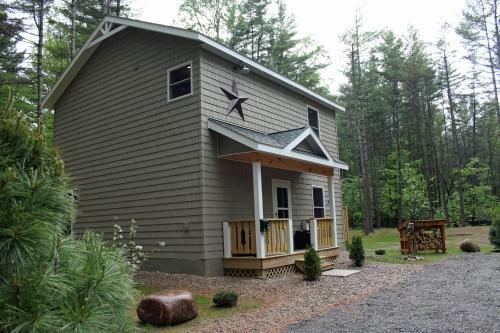 This vacation home features 3 bedrooms, a kitchen with a dishwasher and a oven, a flat-screen TV, a seating area and a bathroom with a hot tub. The bathroom comes with a bath. 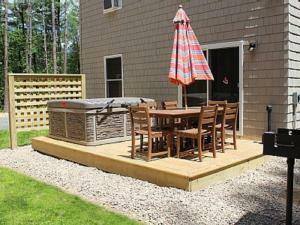 Guests can use the hot tub. Skiing can be enjoyed nearby. 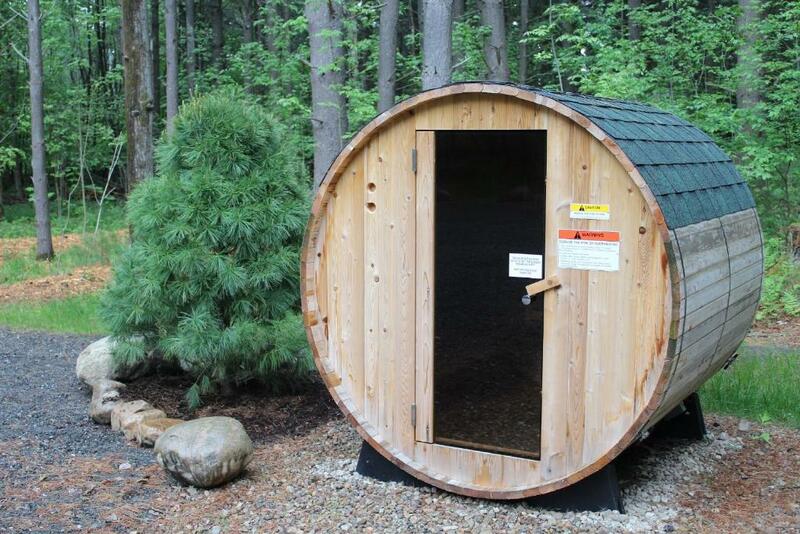 Cloudsplitter Gondola is 1.8 miles from the vacation home, while Mixing Bowl is 1.8 miles from the property. The nearest airport is Plattsburgh International Airport, 37 miles from the property. When would you like to stay at Cascade Mountain Chalet? 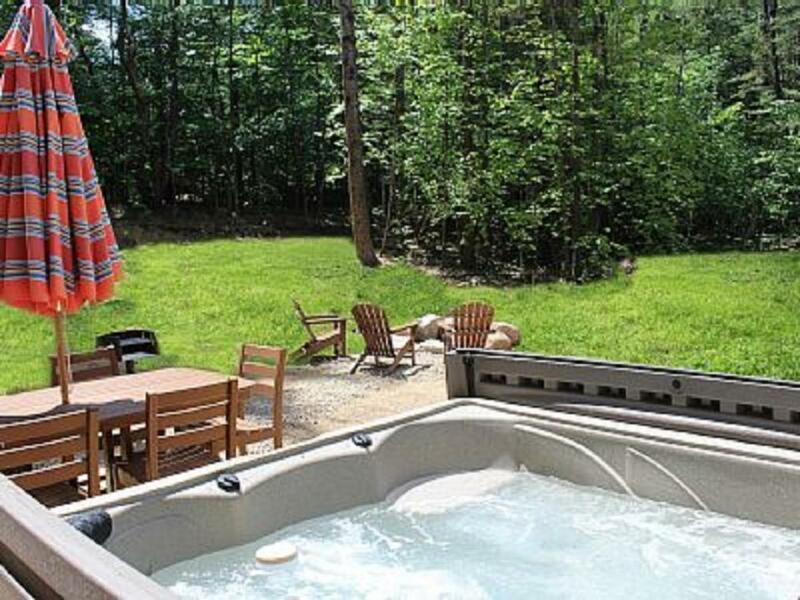 This home features a hot tub, sauna and a fire pit. Linens and towels are provided. 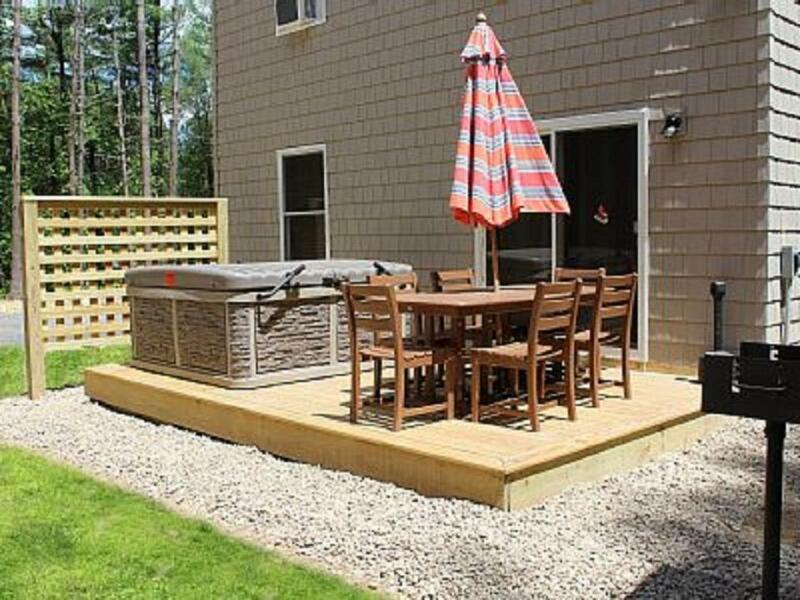 HOT TUB, GAS FIREPLACE, SAUNA, OUTDOOR FIRE PIT, FREE WIFI Cascade Mountain Chalet is a luxurious vacation home with a whole lot of charm. 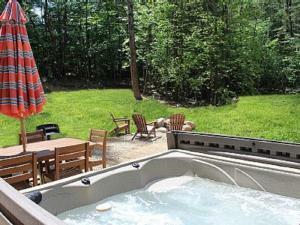 Relax in the hot tub or enjoy a good book by the fire. This home provides many amenities! This home offers 3 bedrooms, 2 bathrooms (1 bedroom is a king master and the other 2 bedrooms are king and share a bathroom), a hot tub, sauna, outdoor fire pit, comfortable living space, flat screen televisions, indoor gas fireplace, an awesome kitchen, outdoor living space, charcoal grill, and much more. The chalet is close to skiing, hiking, mountain bike trails, water sports, shopping, dining, attractions and so much more. You will never run out of things to do while on vacation at this home. Whether you're coming for a quick weekend or an extended stay, Cascade Mountain Chalet is your perfect home away from home. This home sleeps, 8 guests. 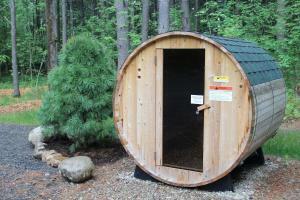 It comfortably sleeps 6 people in 3 bedrooms (3 beds). There is also 1 foam mattress that can accommodate up to 2 additional people. If there are 8 guests, please know that it will be cramped space but you are on vacation so have fun :0 ). Note: Summer bookings are accepted Saturday to Saturday only!! Adirondack-Vacation is made up of a dedicated team of individuals whose goal is to ensure each guest enjoys their vacation at our homes. We have many years of experience in the vacation rental business and know what it takes to ensure each guest's satisfaction. We, combined with the cleaning teams and the maintenance team, work tirelessly day in and day out to ensure the homes are perfect for each guest's arrival. We are proud of the homes we rent to our clients and love to manage and share them with their guests. With a dedicated maintenance team and a couple of really awesome clean teams, the homes are kept in clean. The maintenance team is on-site often doing preventative maintenance and keeping everything in perfect working order. The cleaning teams are often in the homes doing super deep cleans on days the houses are vacant and work hard to ensure that each home is spotlessly clean. House Rules Cascade Mountain Chalet takes special requests – add in the next step! Cascade Mountain Chalet accepts these cards and reserves the right to temporarily hold an amount prior to arrival. We need at least 5 reviews before we can calculate a review score. If you book and review your stay, you can help Cascade Mountain Chalet meet this goal.